A recent training visit has inspired me to break my blogging ‘dry spell’ and got me to pondering about the dog – oops, I mean god – complex that seems to inhabit some corners of dog training. There’s no doubt about it, some trainers think they’re god... omniscient, omnipotent and omnicompetent: their word is gospel and not to be questioned. But as the Bible says: “Beware of false prophets, who come to you in sheep's clothing but inwardly are ravenous wolves” (Matthew 7:15). I’m pretty sure Matthew wasn’t writing about dog training when he wrote this, but it seems ironic to me that wolves are mentioned. It’s the notion that dogs are mini-wolves and the dog training theories that this has spawned, which is the driving force behind this blog post. Slap a choke chain on the dog for walks. (Thankfully owner only used this for a few weeks, but in reality should not have been advised to use it at all). If the dog ignores you when you call them, when eventually they do come back to you - tell them off and give them a time out on the 'naughty step'. The dog is trying to be dominant, gesture eat before them so dog knows you are the boss! The dog listener also told the client that their dog was autistic! Potentially, this could have been very upsetting for the client, not to mention mislabelling the dog and their behaviour. Making a clinical diagnosis such as this can only be made by a vet - not a dog trainer. I'm sure the dog listener has faith in the methods they use and recommend. 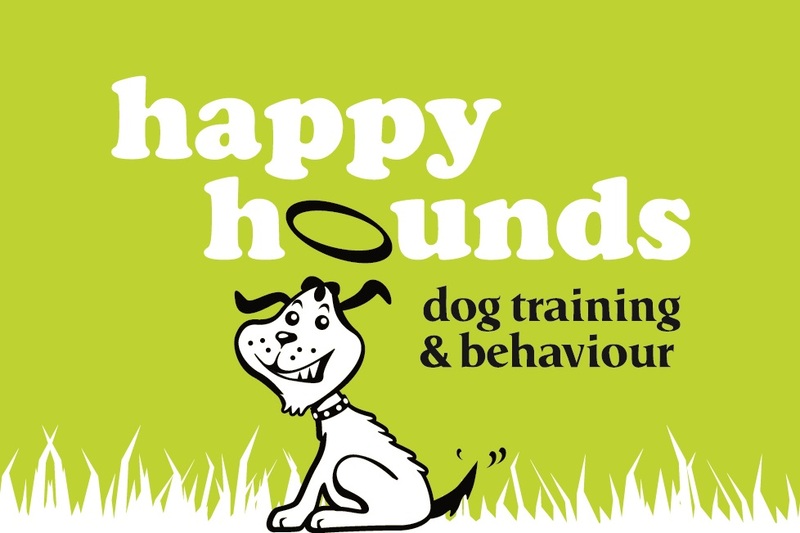 However, I believe, as dog trainers we have a duty of care to our clients to provide the best advice, keep our knowledge up to date and ensure our training and behaviour modification techniques are humane and practical for our clients to implement. We cannot and should not spout what we believe to be gospel, if it isn’t supported by fact and evidence. However, the world is no longer thought of as flat – we know it is round. The dog is not a wolf just as much as I am not an ape. Don’t accept the word of a ‘trainer’ as being gospel. A good trainer will welcome questions and answer them rationally. If a trainer can’t answer questions about why they recommend a certain approach, or they avoid answering a question - trust your gut. You know your dog best and are their guardian; your dog cannot speak English and you must act as their interpreter and help them navigate through our world. There may be a similarity in the spelling but don’t get confused between the word of god and the word of a dog trainer. When I saw the photo of Stevie my first reaction was "who stole a photo of Emmie"? 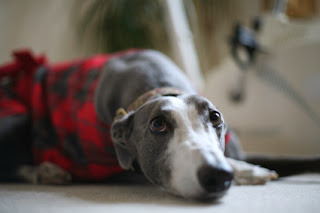 Then I realised it wasn't our greyhound. The resemblance is totally uncanny though. Such beautiful greys! A girl blogger had also been told to do number 3, but to pretend she was eating out of the dog's bowl, I suggested she stop before having to add "possessive about food" to her list of puppy troubles! It's hard to know who to trust I suppose and as human beings we get different opinions from different so-called experts, but, my opinion is, if a "training technique" is degrading to either of you, don't do it. Thank you for the compliment! I'll try not to disappoint with future posts!